SMITHFIELD, RI – It’s simple math, really. 93 total nominations, plus three rounds of voting, equal one Class for 2011! The Rhode Island Radio Hall of Fame was established in 2008, with a goal to celebrate the now 89-year history of the radio broadcast industry in Rhode Island, and to honor the men and women who have played a part in its growth. On-air personalities, station management, off-air contributors and technicians alike have all contributed greatly to our airwaves since 1922, and the notable names inducted over the past three years have included such veteran performers as Salty Brine, Sherm Strickhouser, Jack Comley, Don Pardo, Charlie Jefferds, Gene and Gary DeGraide, and Arlene Violet – just to name a few. Geoff Charles – Charles was hired away from a Palm Beach, FL station by Ron St. Pierre (RIRHOF ’10) in the late ‘80’s, when St. Pierre was program director at WPRO-AM. Charles and St. Pierre created the "Great Big Blue Bug Radio Escapade" that made the national news wires and remains one of the most-remembered promotions in the history of local radio. Charles moved onto WHJY for overnights, worked a morning show at WALE, and finally back again to WHJJ/WHJY for nights, and back to afternoons. Today, he celebrates nearly two decades as host of WHJY's afternoon drive show, the third longest running radio show in the history of Rhode Island radio. David Jones – is now in his 3rd incarnation on local radio, which spans more than 40 years. Starting in the late ‘60’s on WICE with “The Davey Jones Locker,” his career moved onto WPRO, then into private business, then back to radio in Boston…and finally a return to RI radio on WSNE with “Jones & Joan in the morning” (with Joan Edwardsen) for 17 years. “Jones & Joan” were the longest running non-married, male-female duo at the same station in the country. Presently, he’s teamed up with Heather Gersten on WWLI-FM’s “Jones & Heather in the morning,” where the show has been voted “Best of Rhode Island” for four straight years. 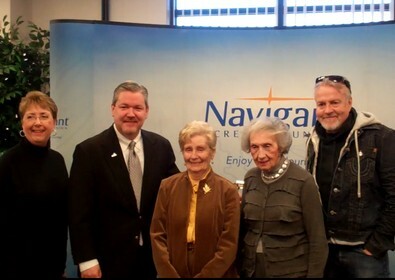 Larry Kruger – best known as Salty Brine’s longtime sidekick on WPRO, Kruger attended the Cambridge School of Broadcasting in Boston, and began his career while serving aboard the USS Shangri-La in the Navy. He came to Providence and WPRO in 1973 after working in Springfield, MA, starting off in the afternoon…mid-days…and wherever he was needed. 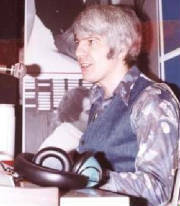 In 1977, he joined with Salty Brine on the WPRO morning show, where he remained a fixture until Salty’s retirement in 1993, and for two years thereafter with John “Coach” Colletto. His corny – but quick – wit and personality endeared him to a generation of listeners. 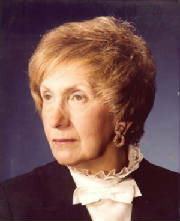 Florence Markoff – a well known, successful voice and personality, Markoff has long fascinated Rhode Island listeners with her signature “Rhode Island Portraits in Sound,” and “There’s A Word For It” features and programs. Educating and enlightening listeners since the 1960’s on WEAN, WJAR, WICE and WLKW, Markoff brought her talents and style to audiences young and old throughout southern New England by writing, producing and voicing her radio features. 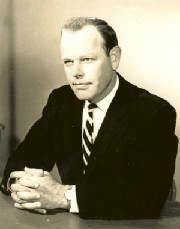 Ed Pearson – a show host and personality for 30 years, Pearson began his career on WOR in New York in the 1930’s as a newscaster and radio drama performer. He moved to WEAN-AM and WPJB-FM in 1946 with the “Uncle Eddie Club,” and in 1948, “Ed Pearson’s Open House” began mornings on WEAN. The show ran for 20 years - the longest running locally-produced daily radio program at that time. After retiring in 1975 at age 62, Pearson passed away in 1987. John Rooke – known as the “Voice of the Friars” for the past 22 years, John remains the signature voice behind Providence College athletics today. 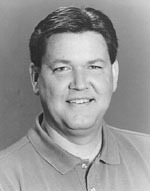 In addition to his play-by-play duties for PC, Rooke hosted sports talk programs on WPRO-AM and WSKO-AM/FM from 1990-2005, and currently appears on WEEI-FM. He has been a talk show host for ESPN Radio since 1999, calls play-by-play nationally for ESPNU, ESPN Regional Television, and the IMG College Network, and has worked for the New England Patriots since 1993 as the familiar “Voice of Gillette Stadium.” Rooke is also responsible for the creation of the RIRHOF (with John Colletto) in 2008. 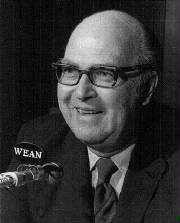 Monroe “Bud” Toevs – known as the “dean of Rhode Island newscasters,” Toevs trained in journalism at Brown University. After his service in the military through WW II (and afterward in the US Merchant Marine), Toevs worked in Rhode Island radio for 40 years on WRIB, WEAN, WFCI, WADK, WHIM and WPRO. His radio career began as a disc jockey with “The Five O’Clock Rush,” giving commuters a dose of classical, big band and other music on their way home every day. During his news reporting career, much of Toevs’ work came from the air – as an honorary member of the Navy’s Blue Angels flight team. Toevs passed away in 2000, at age 77. 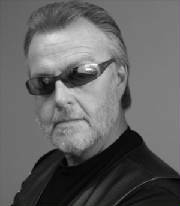 Chuck Wilson – an international award-winning interviewer, reporter and sports talk show host who is widely credited for bringing modern “sports talk” radio into the Ocean State. 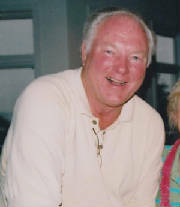 Hired by WEAN-AM, Wilson began the first regular daily sports talk program in 1981, and subsequently appeared on WICE-AM and WPRO-AM with “Chuck Wilson on Sports” through April of 1993. Chuck then moved full time onto the national airwaves with ESPN Radio until 2005, when he joined XM Satellite Radio’s Major League Baseball programming. He returned to ESPN Radio in 2010, where he still works today. Also added to the Class of 2011 is the recipient of the 1st annual Shepard Award, named for John Shepard III and Robert F. Shepard. The award honors an important contributor to the business and support of Rhode Island radio during his or her generation through leadership, dedication, achievement, innovation, and spirit. The Shepard brothers, grandsons of the founder of Shepard’s department stores, are recognized for their remarkable efforts as early commercial radio pioneers and innovators, for launching Rhode Island’s first radio station in 1922, and for their keen sense of radio’s full potential. The inaugural Shepard Award winner is Bob Fish. 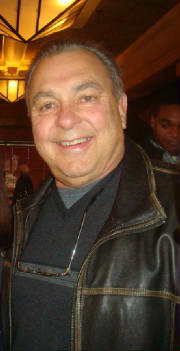 Fish was a 1968 graduate of Bryant College, and early in his career, was regional sales manager for WPRO. Involved in station ownership and management throughout his career, from 1984-89 Fish was president and CEO of Federal Communications Corp., which owned and operated WHJJ-AM and WHJY-FM. At the time of his passing in 2010, Fish was president and CEO of RI PBS station WSBE, and a member of the RI Telecommunications Authority. He was also president of the RI Broadcasters Association. Proceeds from the awards dinner and ceremony will benefit Special Olympics Rhode Island. More than $25,000 has been raised over the past three years for local charity.